Attorney Eli Abarbanel to replace Deputy State Attorney for Special Assignments Shai Nitzan. Attorney Eli Abarbanel has been named as the person who will replace Shai Nitzan as Deputy State Attorney for Special Assignments. Nitzan, who has completed his full term in the position, is seen by nationalists and residents of Judea and Samaria as their nemesis. Abarbanel has been serving in the State Attorney's Office since 1985, when he was an intern in at the Jerusalem District Attorney's Office. Since then he has climbed the ranks and served in a variety of positions. In 2000 he was appointed to head the Criminal Department in the District Attorney's Office and is now completing an eight year term as Jerusalem District Attorney. Among the numerous cases Abarbanel has handled were several cases against politicians, including former ministers Yitzchak Mordechai, Shlomo Benizri and Tzachi Hanegbi, and the cases against former prime minister Ehud Olmert. He is 51, married, and a father of three daughters. Sources in the Justice Ministry have said that Nitzan may compete for the position of Deputy Attorney General. 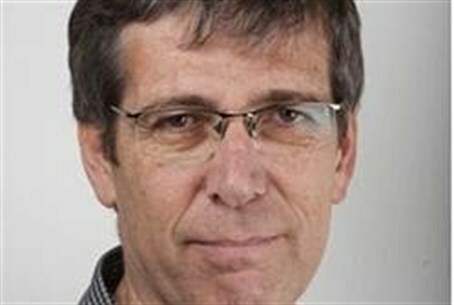 Nitzan is widely regarded in nationalist circles as being motivated by an ultra-leftist agenda. It remains to be seen whether Abarbanel will be any less harsh in his treatment of nationalists and residents of Judea and Samaria.